It’s St. Paddy’s Party time! 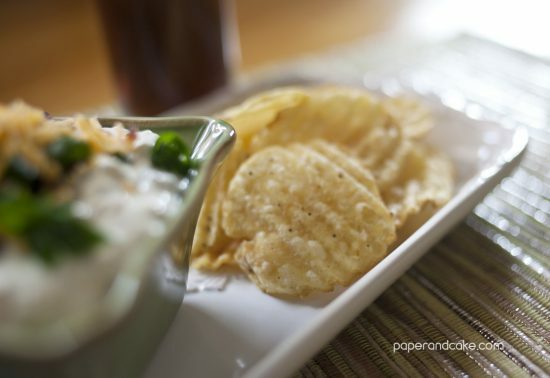 One of my favorite party snacks is chips and dip, and it is one of the easiest crowd pleasers! Try out our Irish Nacho Dip with Stout and bring it to your next party!Irish nachos are those deliciously smothered mound of fries, covered in bacon, cheese, sour cream and green onions. 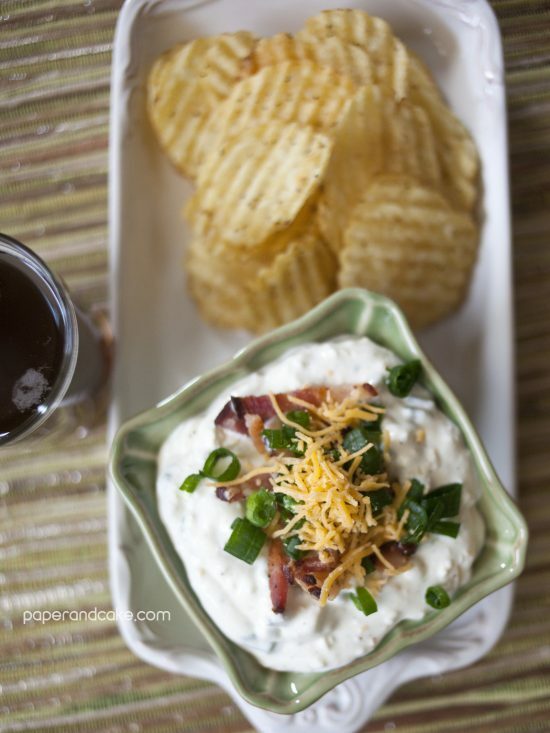 Yea I know… We decided to throw all of that tasty goodness into a dip and kick it up a bit by adding some Stout! 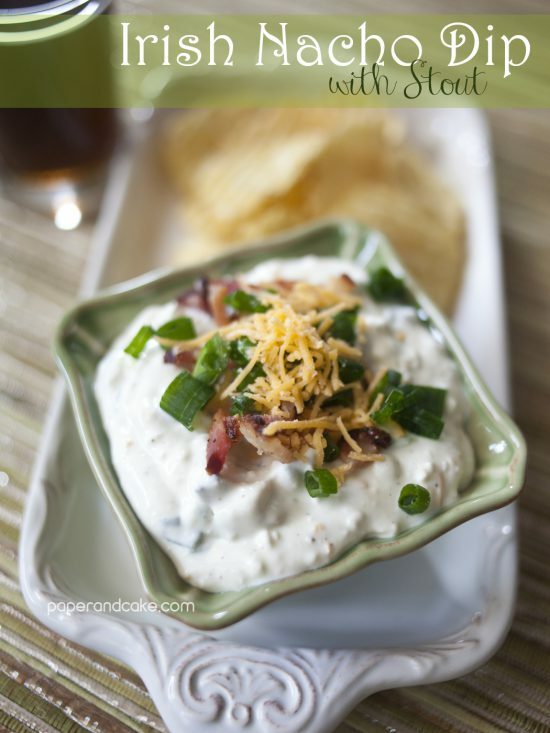 Pair this dip with some kettle cooked potato chips or tater tots, and your favorite brew. You won’t be able to stop snacking on this quick & yummy dish. Combine all ingredients in large mixing bowl. Transfer to serving dish. Garnish with extra bacon, green onions and cheddar cheese. Serve immediately or refrigerated. Enjoy with potato chips, fries or tots! We shared this recipe with our friends at HGTV.com – go check it out!